Clinique always seem to get their imagery bang-on and this season is no exception with these stunning pictures accompanying their Black Honey collection for AW 2011. The collection draws inspiration from a single Clinique lip gloss shade, Black Honey, which launched in 1971 in a pot format and became a cult classic. ﻿The shade was rereleased in 1989 as an Almost Lipstick and this year, it forms the basis of the entire collection for the season. I absolutely adore the name which brings to mind an innocent sensuality. 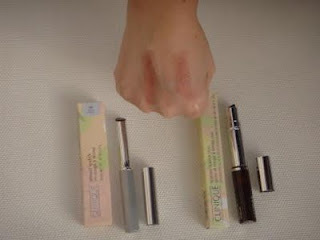 I was sent products for review and have to say that I've been seriously impressed. 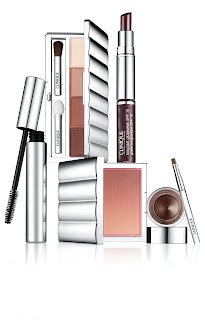 As always, Clinique have moved the collection forward with their new trend shades whilst remaining true to their core customer through the wearability of the colours. 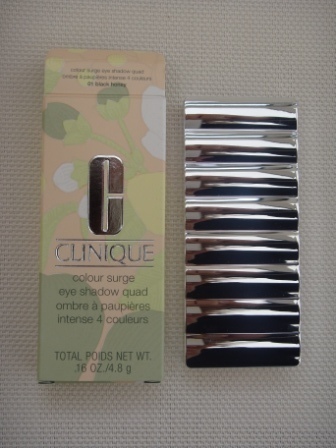 First up, The Colour Surge Eye Shadow Quad in Black Honey. True to Clinique form, the packaging is sleek yet functional, featuring a generous mirror. Unfortunately, as is often the case with included miniature applicators, the brush is a complete waste of time, shedding bristles like crazy but that didn't particularly bother me as I've learnt from experience with various brands that it's best to use my own brushes. 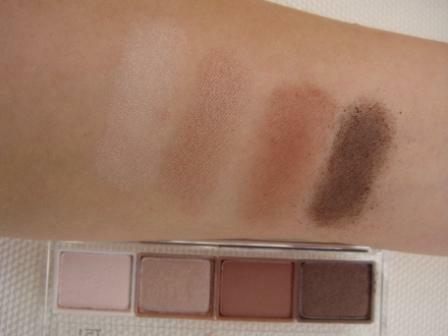 Unlike many palettes where one colour always remains untouched, I can see myself using each of the four shades. The formulas lived up to my expectations as the shades are soft enough that they are easily blendable yet "drop" isn't an issue. In spite of the quality, at £23 for four shades, the Colour Surge Eye Shadow Quad does seem quite pricey compared to other neutral palettes which are around. If you are thinking of investing, it might be worth holding out until they run one of their fantastic Gift With Purchase promos. I was also sent Almost Lipstick in Black Honey along with a handy Lipgloss/ Lipstick Duo, also in Black Honey. 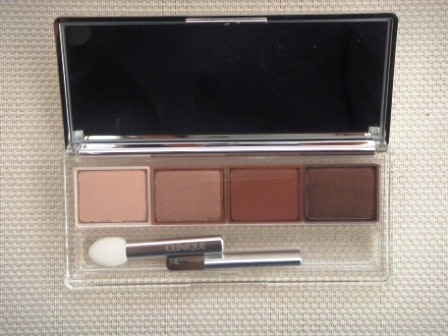 I love a good duo product and there seems to be something of a trend towards these sorts of products lately. I've really struggled to see the distinction between the Almost Lipstick and the Lipstick in the Duo. To me, they're unmistakedly different, with 2 formulas and finishes yet are similar to the extent that you only need to invest in one, not both (in which case, it makes sense to choose the duo). The swatches correspond to the tubes so the swatch on the left is of Almost Lipstick whereas the swatch on the right is of the lipstick from the Duo. Almost Lipstick costs £15 and is described perfectly in the press release as "not quite a lipstick, not quite a gloss.. a rich, high-power glaze". Although the colour looks scarily deep in the tube, it applies as a sheer hint of colour to enhance your natural look. I really liked the nourishing formula. 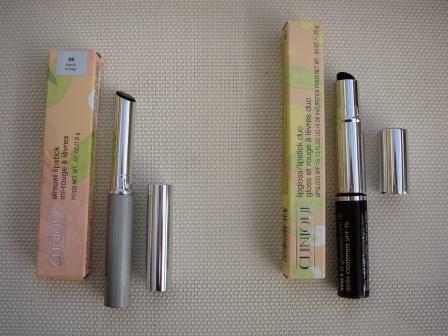 In comparison, Lipgloss/ Lipstick Duo costs £17 and is a limited edition so if you like it, stock up while you can. It's a very pleasant twist on a classic which I think will prove a good introduction to the shade for those who were previously put off by the name or the depth of the colour in the lipstick tube, as well as being a nice formula variation for those long-time fans. As with the Almost Lipstick, the formula feels nourishing and when the gloss is applied on top, it enhances the intensity of the colour, giving a groomed finish without stickiness. Alternatively, you could use the gloss on its own although stupidly, I forgot to take pictures of this. 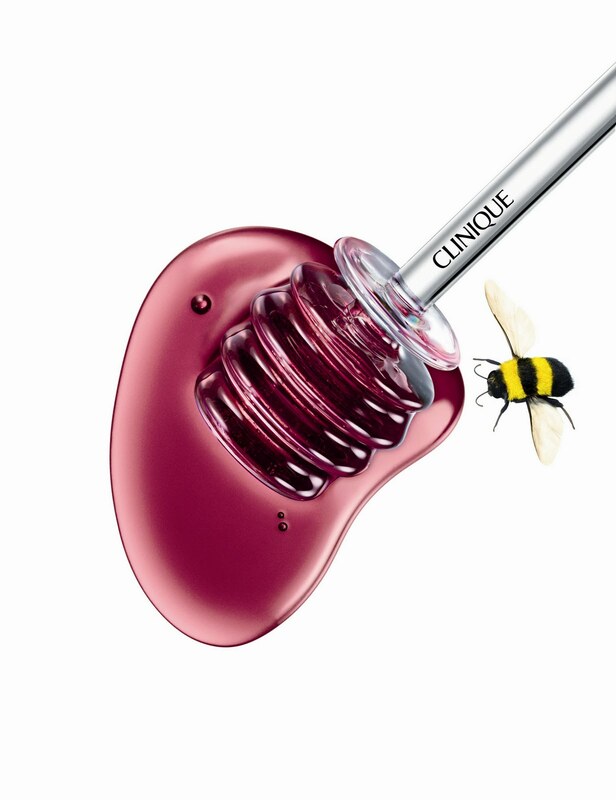 Clinique's Black Honey collection is available now from counters nationwide. Love Black Honey - first had the potted version, now the stick. 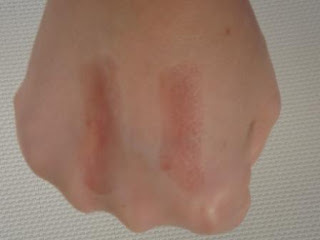 The blush looked interesting, too! Clinique photography/design/copy tone of voice - entire branding in fact - is tight as a gnat's ch*ff. Don't know who does it but hats off to you. Oh and you Astrid for a fab post.